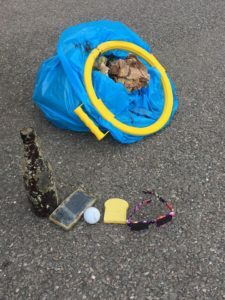 Ten people joined in the Widewater Litter pick up on Saturday and 10 bags of rubbish were collected. The weather was good and the rain kindly waited until we had finished! Prize for the most unusual item found goes to Penny Eaton who found a mobile phone! In a sorry state needless to say! 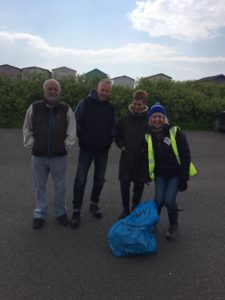 A huge thanks to Ian Brereton for organising the event as always and another huge thanks to all who helped to keep our lagoon clean and tidy. ← Mitigation Pipe – Work has begun!